/ Home / Press office / PR opinion / Longer still to reign over us? When Elizabeth II was born, on 21 April 1926, the expectations surrounding the new ‘Infant Princess’ were not of her inheriting the throne. Her birth made news as a royal baby, and the first child of the Duke and Duchess of York. She was also born fourth in line to the throne. However, this aspect was not made much of (if mentioned at all) in the newspapers. There was the presumption that her parents could have a son, who would automatically have taken precedence in the line of succession. Also, while her father was third in line, there was still public anticipation that the highly-popular Prince of Wales (later Edward VIII) would marry and have an heir of his own. So, though the papers rejoiced in the birth, it was mainly because it was held to strengthen the ‘family’ bond between the family and the nation not because she was expected to become Queen. She was given the same first name as her mother, with compliments to her great-grandmother (Queen Alexandra) and grandmother (Queen Mary) following. There was no discussion of the name choices. It was seen by the press as a ‘purely private’ matter, underlining that in 1926, no one identified a realistic prospect of the new princess reaching her 90th birthday in 2016, not only as Queen but also as the longest serving British monarch. Her early childhood was certainly not that of a royal heir. It was sheltered and largely away from the public view, almost ‘ordinary’ (‘ordinary’ for the upper classes anyway). Though her parents undertook some royal duties, they did not bring up their elder daughter, or her sister Margaret (born in 1930), in an atmosphere of royal formality. People like the diarist ‘Chips’ Channon talked instead about the ‘easy informality’ of their daily lives. But, possibly before anyone else, Elizabeth’s grandparents, George V and Queen Mary, did become aware that their much-loved elder grandchild was likely to become Queen eventually. The Prince of Wales was already nearing 29 when his younger brother married. A decade later, as he neared 40, he was still not courting a suitable bride with a view to producing an heir. After 1930, the likelihood of the Duchess of York having a son was also receding. So, practically speaking, that put Elizabeth (though only heir presumptive constitutionally) as being the child most likely to ascend the throne. Certainly from quite early in Elizabeth’s childhood, Queen Mary took a hand in training her grand-daughter in various royal skills, such as learning how to sit still without fidgeting for lengthy periods. With her father on the throne as George VI, her serious training for the position began. And to fully understand the Queen at 90, you need to look at the way she was brought up to think about the monarchy as an institution, and about herself as a girl who would inherit the throne. As the Queen has said: “It's all to do with the training: you can do a lot if you're properly trained.” She certainly has been. From December 1936 on, she was formally trained to be Queen, learning from her beloved father and grandmother. It means that the Queen, at 90, has not only had the experience of years on the throne to shape her actions as head of state. She also has a profound understanding of the constitutional implications of her role and of the importance of service to the nation as the core qualification for doing her job as Queen properly. It explains why she is still so respected by the politicians who develop policy in her name that they have acquiesced in her not only keeping, but also increasing, her royal prerogative powers. According to the 2012 Cabinet Manual, she now has the right not just to be consulted and to encourage and warn her ministers, but also has the right to be informed. And she remains for many a unifying force, nationally, because of her skill in remaining aloof from political controversies (most unusually, the Palace recently lodged a complaint against the Sun’s claim that the Queen backed Brexit). Elizabeth II is of an age, and a personal temperament, where public fussing about birthday celebrations is unlikely be particularly welcome to her. However, she accepts it as part of the job-for-life expectations of her that she took on in her girlhood. And while several fellow European monarchs have abdicated recently, handing over the task to their heirs and sparking speculation the Queen may do so herself, there is no likelihood she will. She has signalled instead that while Prince Charles will share more of her workload as part of his training to become King, she has no intention of abandoning the duty to her people that she took on so publicly in her 21st birthday speech in 1947. 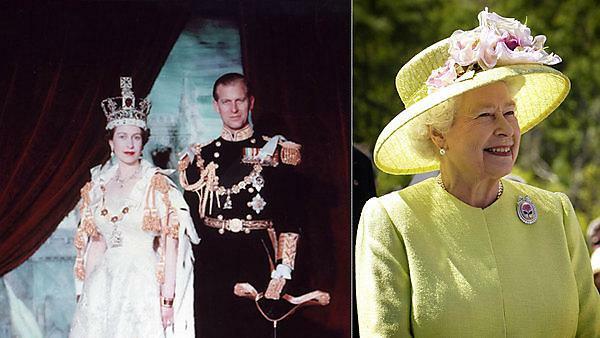 If she follows her mother’s example, Elizabeth II will see her 100th birthday in 2026. The odds are that she will achieve that milestone as Queen. More, she will still be seen doing her duty as Queen, with a smile and a wave. Dr Judith Rowbotham is a Visiting Research Fellow in the School of Law at Plymouth University.